Hi. My name is Dennis and I like whisky and whiskey. I also like gin, rum, cognac, calvados, beer, wine, Sherry and a lot more. In short, I like booze. I probably try whatever you put under my nose and the likelihood that I like it is high – you’ve been warned! I know a bit about whisky (people keep telling me, so it might actually be true) so you’ll find most around this subject here. I might go on an expedition and write about other stuff too. Perhaps I even write about non-booze related stuff but we’ll see how it goes. I thought about writing a few years ago, started for a short while but many other things came in my way. I simply ran out of time and the project died. I even wanted to delete this domain but for some reason I kept it. I reactivated this project because quite a lot of people told me in the last few months I should write about the stuff I’m passionate about. And here is whisky-note.com. Hurray! My main job is it now to keep this going and you’ll find a variety of topics here I try to cover. This ranges from tasting notes, news and more in depth articles. I will also try to have here and there a guest writer. So who is the bloke behind this? I got introduced to Scotch in 2007 just after I started my undergrad degree in economics by a guy, Tobias, who lived in the student flat next to me. I had no clue about Scotch whisky but that Cragganmore Distillers Edition got me excited. It took not long and I tasted his whole collection. The only exception he couldn’t sell me for over a year was a Bowmore Legend. Tobias was persistent and kept trying and one day I was able to appreciate those Islay flavours. Tobias was my mentor for many years and I still have to massively thank him for all I learned from him. He played an incredible part in what turned out to be the path of choice in private and business. In 2012 after graduating, I moved to Edinburgh to do my Masters in Marketing and it took not long before I had the opportunity to work in a whisky and cigar shop. Thanks Andy for employing me. I learned a lot; build long lasting friendships and more and more I slipped into the role of being Tobias’ mentor. At least I was able to look a bit behind the scene at this time and was able to answer some of his questions. I moved on and became a tour guide at the wonderful Lowland distillery Glenkinchie. Wow, I live the dream I thought and I was right. It was truly an incredible time with an incredible team. A geek who has everyday access to speak to those who make the spirit. Is there anything better? I don’t think so. The diversity of people every day and in every tour was just incredible, sometimes incredible hard work, but mostly just pure joy. I perhaps still have to apologise for all the delayed tours because I tried to give detailed answers to all questions. From Glenkinchie I moved on to London where I kept working in whisky and got a role in digital marketing combined with brand management for Diageo. 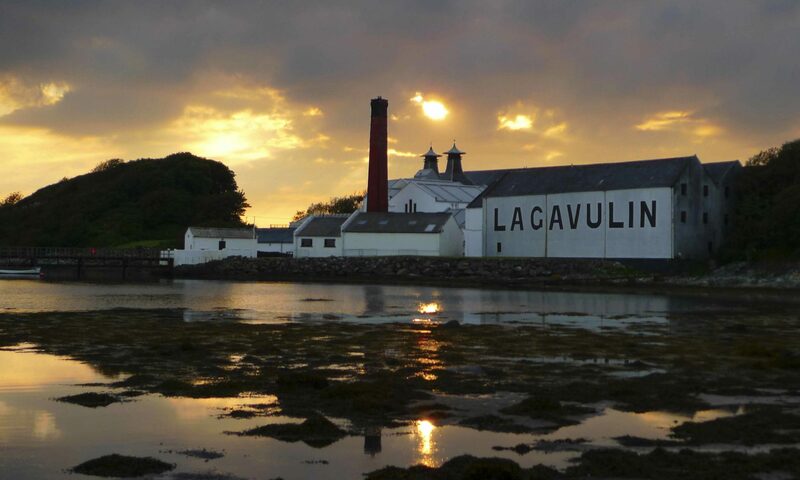 Based on what I experienced in recent years it allows me to, hopefully, have an objective view on what concerns the whisky industry and product. I will try to consider in my future posts to look, where possible, on both sides. All opinions on this blog are my own and do not necessarily represent those of my past employers. So, last but not least, I’m also a judge for the Global Spirits Masters, and open to do freelance consultancy work. I am also available to run whisky tastings. Get in touch for more details.